This page is dedicated to the ancestors and descendants of John Christian Burgess (also known as Chris John Burgess, John Watterman, and Johann Christian Borjes/Borges). 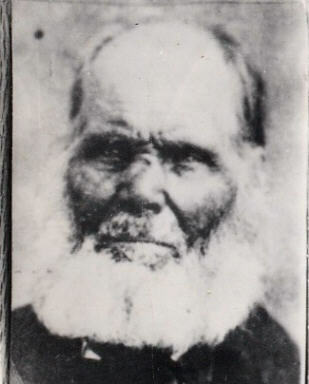 History of William Burgess Senior: A short history of the life of William Burgess Senior (photo), the son of John Christian Burgess and Hannah Newland. 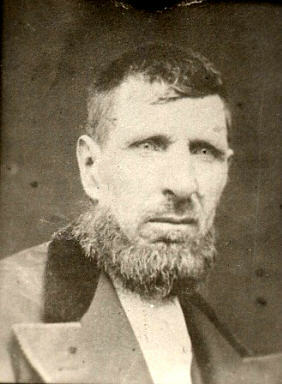 William married Vilate Stockwell. This history is located at Cindy's Family History Place. Cindy has a wonderful Web site and has information about several related families, including the families of George Cannon and Newel Knight. History of Harrison Burgess: A short history of the life of Harrison Burgess. 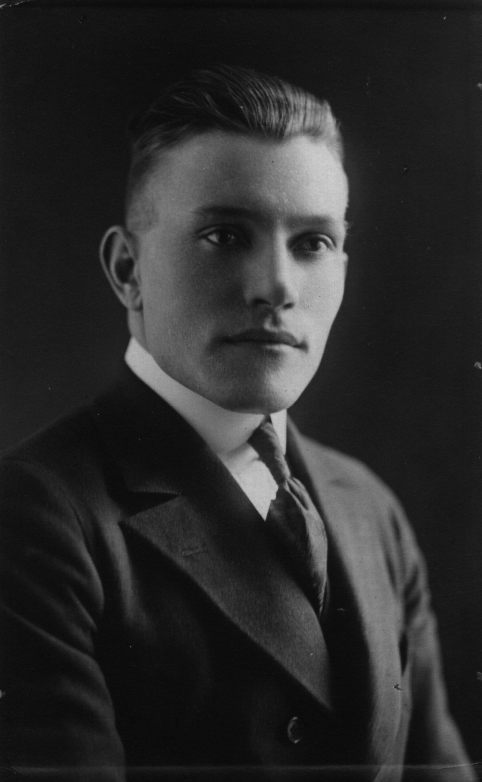 History of William Burgess, Jr.: A short history of the life of William Burgess, Junior (photo). 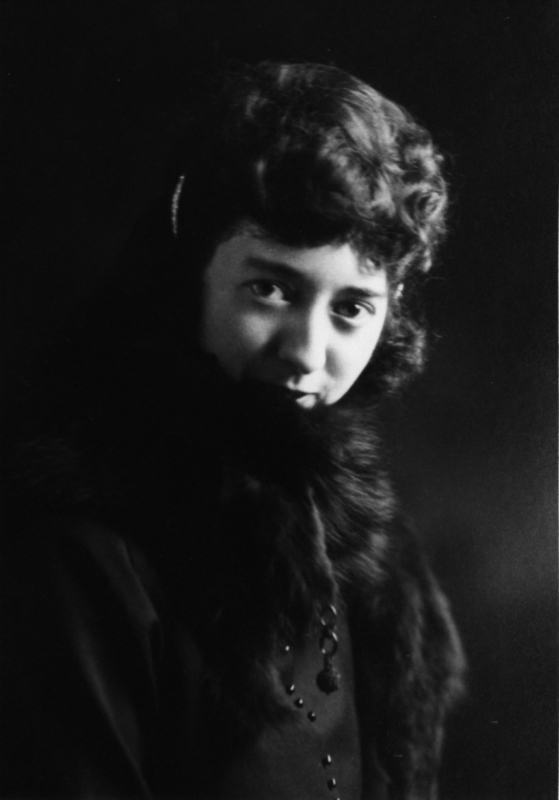 History of Charles Henry Burgess and Sarah Lena Hansen Burgess: A short history of the life of Charles (photo) and Sarah Burgess (photo), taken from Sarah's autobiography. More about Charles Henry Burgess and Sarah Lena Hansen Burgess: Another short history of Charles (photo) and Sarah Burgess (photo). 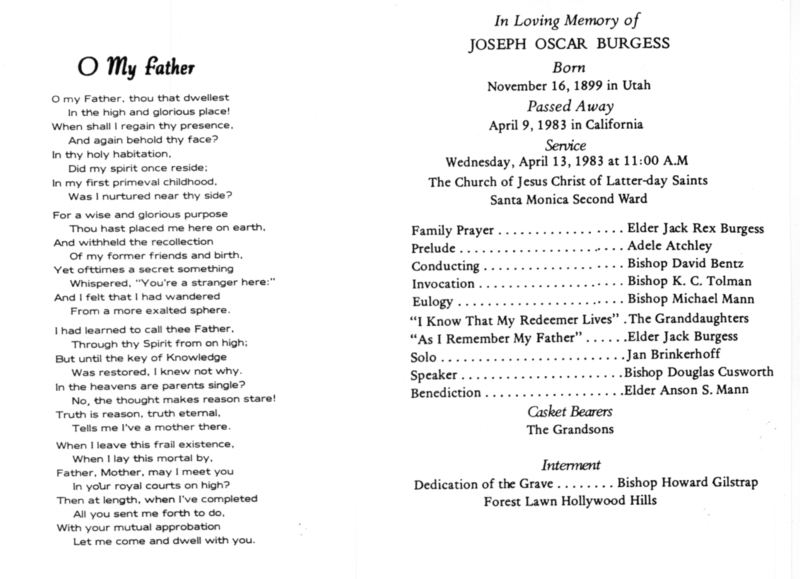 Joseph Oscar Burgess: Joseph Oscar Burgess (photo) is a second-great grandson of John Christian Burgess, through William Burgess, Junior and Charles Henry Burgess. 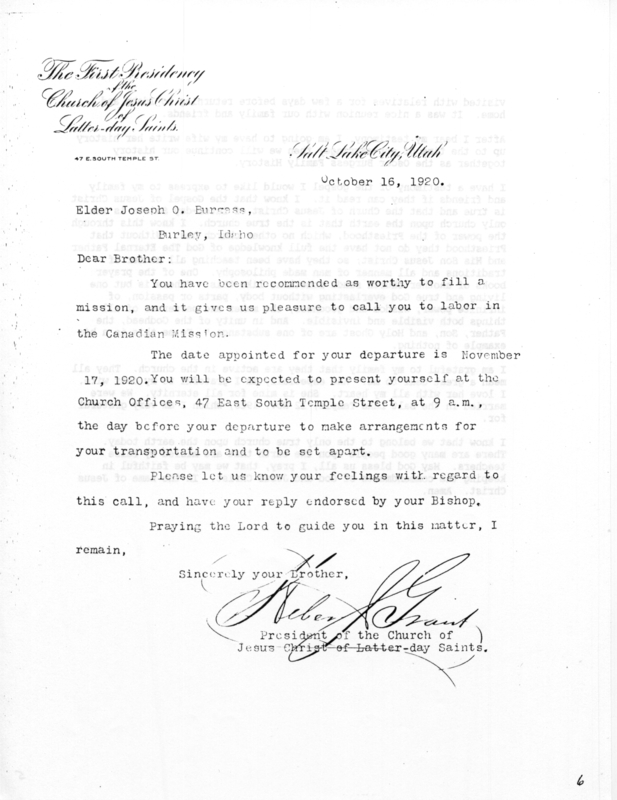 Oscar's mission call letter, funeral program, and death certificate. Please contact us at the e-mail address listed above if you would like a copy of his life history. Olive Myrl Wrigley Burgess: She (photo) is the wife of Joseph Oscar Burgess. Please contact us at the e-mail address listed above if you would like a copy of her life history. The History of Catherine/Katherine Cunningham Wrigley Burgess: She was the wife of John Wrigley. 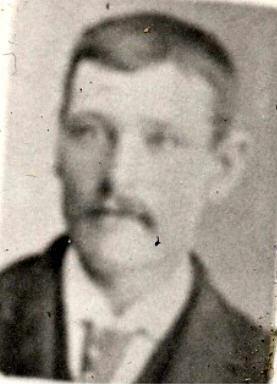 After John died, she married Joseph C. Burgess. 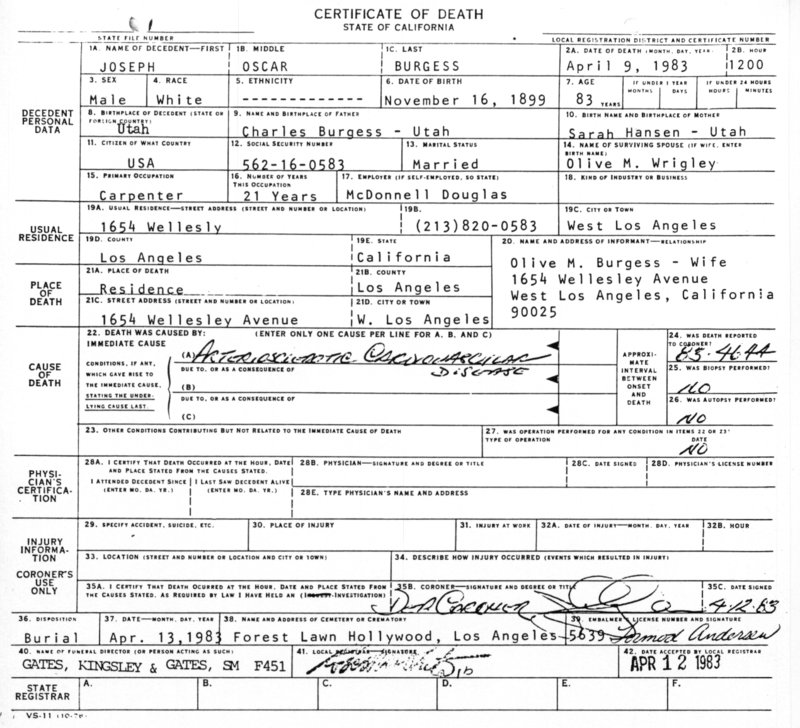 Burgess Pedigree Charts & Group Records: Links to Burgess Family Genealogy records at FamilySearch.org. Burgess Family Genealogy Forum at Genforum: A "bulletin board" service for members of the Burgess family world wide. The Johannes Schwalm Historical Association, Inc.: This site contains infomation about German auxiliary soldiers who remained in North America after the Revolutionary War and whose military service and family histories have been researched and published or documented by the JSHA. It includes the following information about Johann Christian Borjes (Burgess, Borges), who may be the John Chris Burgess in question: "Hesse-Kassel; Fischbach; Private; Landgraf Reg., Co. 3; HETRINA Vol III; Deserted at Turkey Hill, RI on 21 Aug. 1778 and joined the American forces; Married Hannah Newland of Bristol, MA and settled in upstate NY near Lake George. Profile to be published."